In 2015-16 the road bridge at Lewes Railway Station was strengthened and repaired, followed by a comprehensive restoration of the listed station buildings by BAM Nuttall Ltd. They gave a talk in January 2017 to the Friends of Lewes, which was preceded by a short history of railways in the town by Robert Cheesman, Chairman of the Friends of Lewes. Afterwards it was suggested that it would be interesting to have a more detailed historical account. Robert now presents his extended history of the railways at Lewes, beginning with the first railway from Brighton in June 1846, followed by the many developments of the railway lines and services up to today. 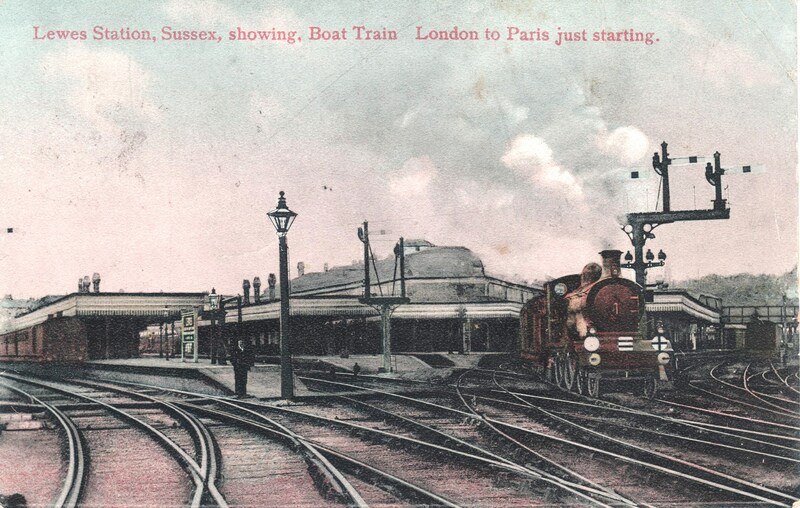 His informative illustrations include photos of the three Lewes railway stations.